 With extraordinary design and private home comfort. 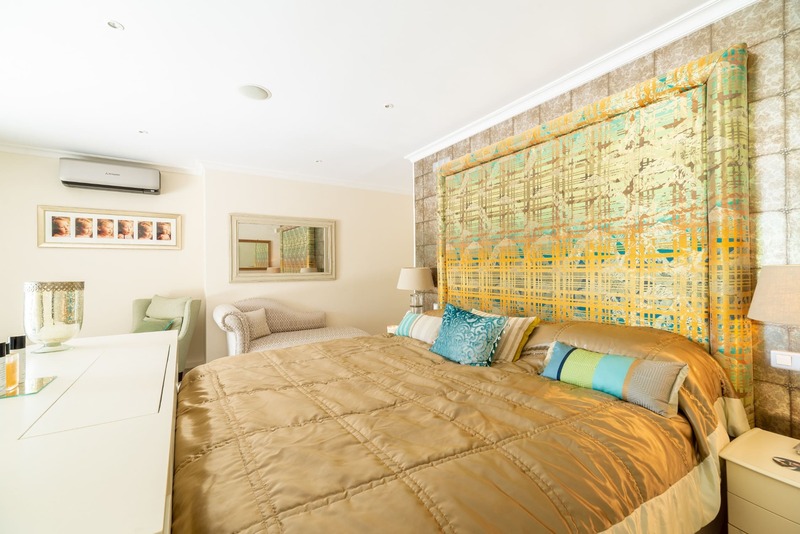 With outstanding sea views, each room has been lovingly re-designed and decorated by the owner, to create a chic and comfortable home. 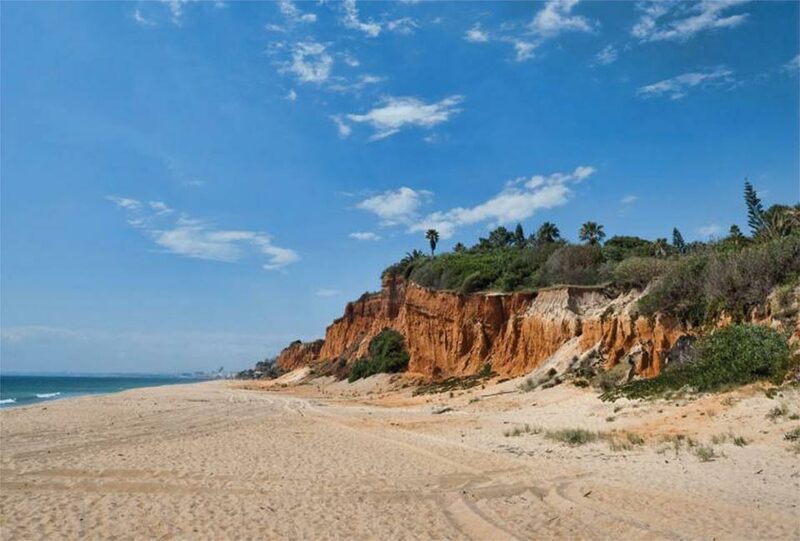 "Breath taking design and five star facilities in the perfect location at the heart of Vale do Lobo. 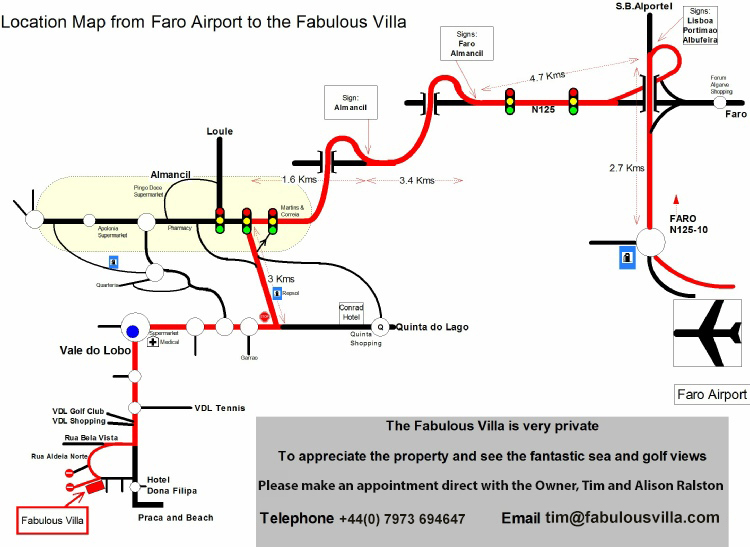 The fabulous villa lives up to its name!" 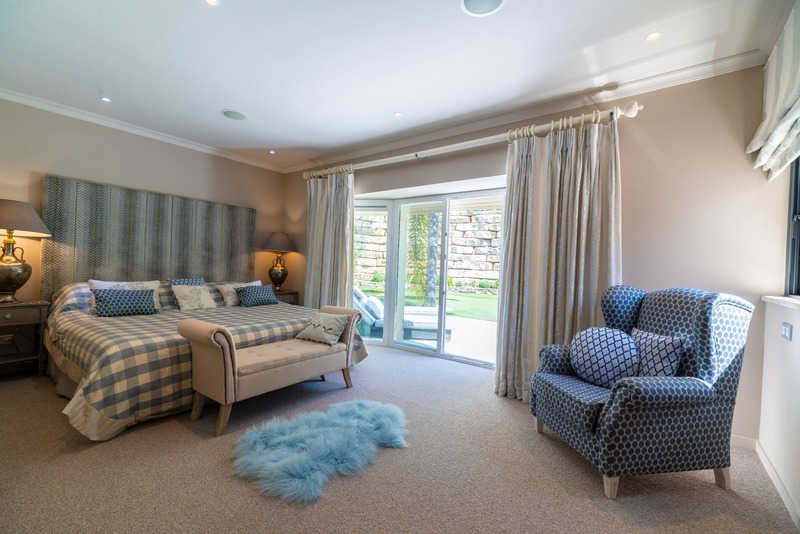 The large master suite has an emperor bed, an en-suite bathroom with bath, shower and separate dressing room, and has French doors opening onto the swimming pool. 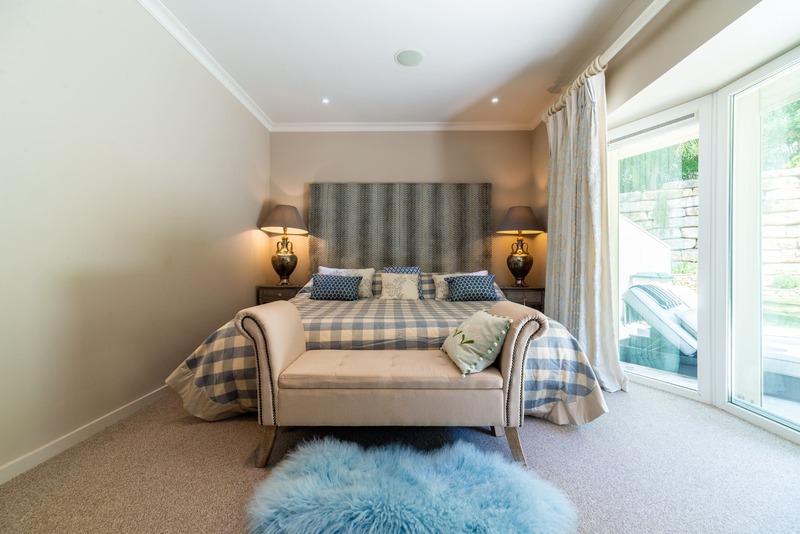 Bedroom 2 has an emperor bed, an en-suite bathroom with a bath and shower, and French doors opening onto it's own private garden. 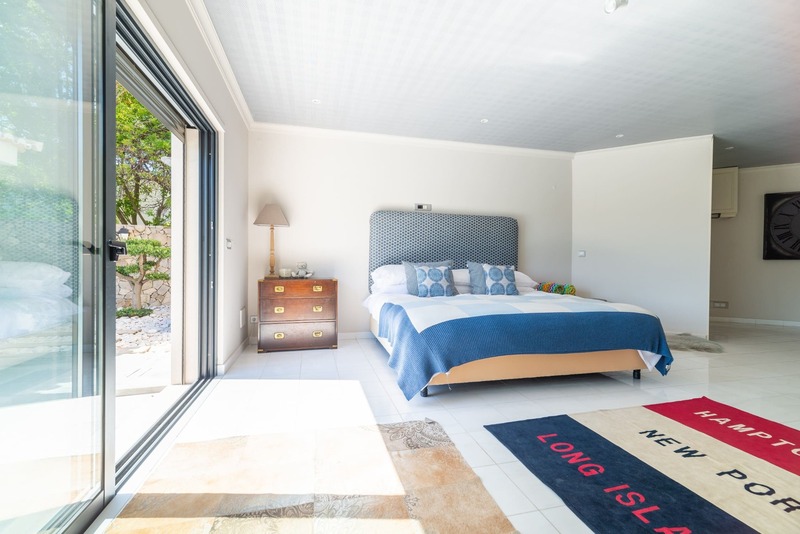 Bedroom 3 has twin beds and French doors opening onto the swimming pool. 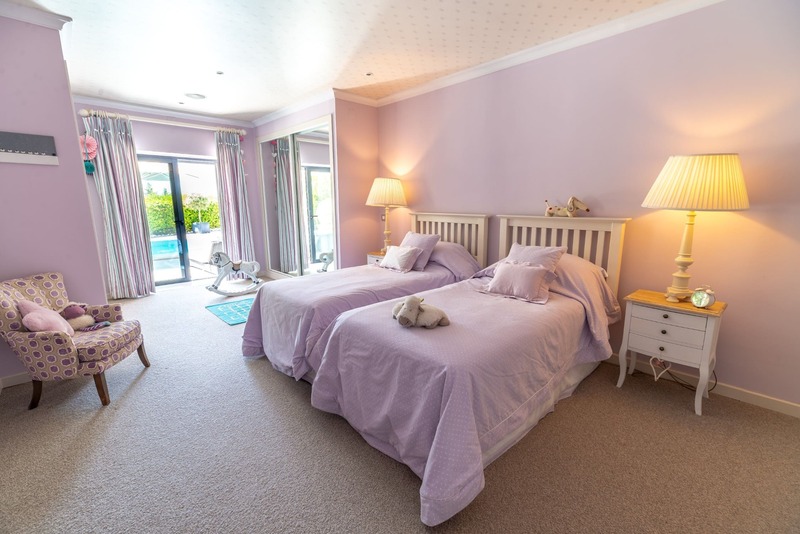 Bedroom 4 has twin or a double bed and French doors opening onto the swimming pool. Bedrooms 3 and 4 share a large bathroom with a bath and shower. 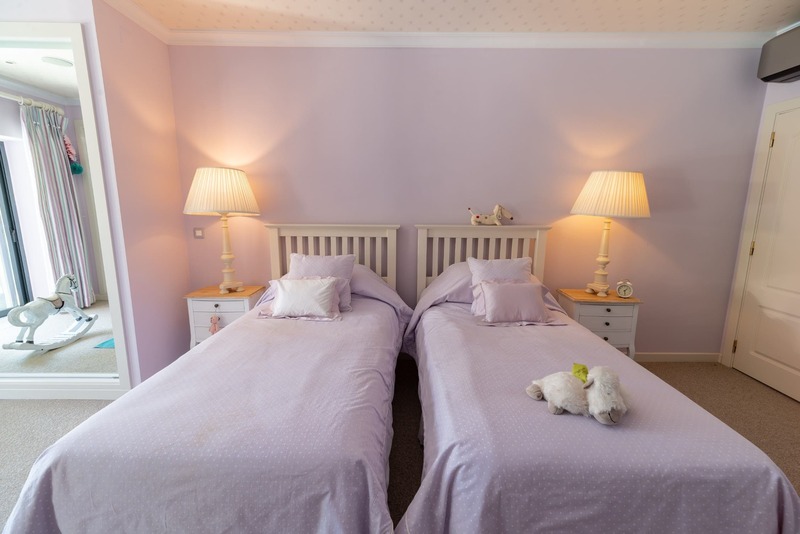 Bedroom 5 has an emperor bed and two separate double sofa beds ideal for a family of 4. 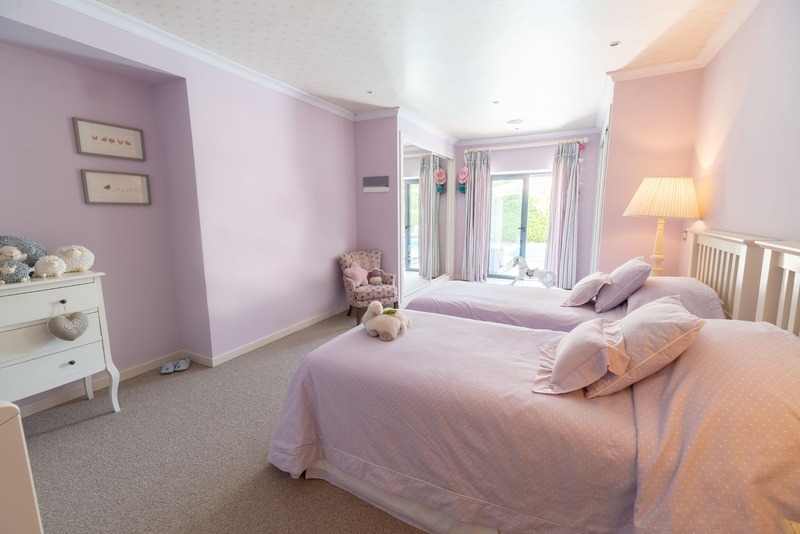 This bedroom has it's own separate kitchen area and bathroom, and has French doors opening onto the swimming pool. 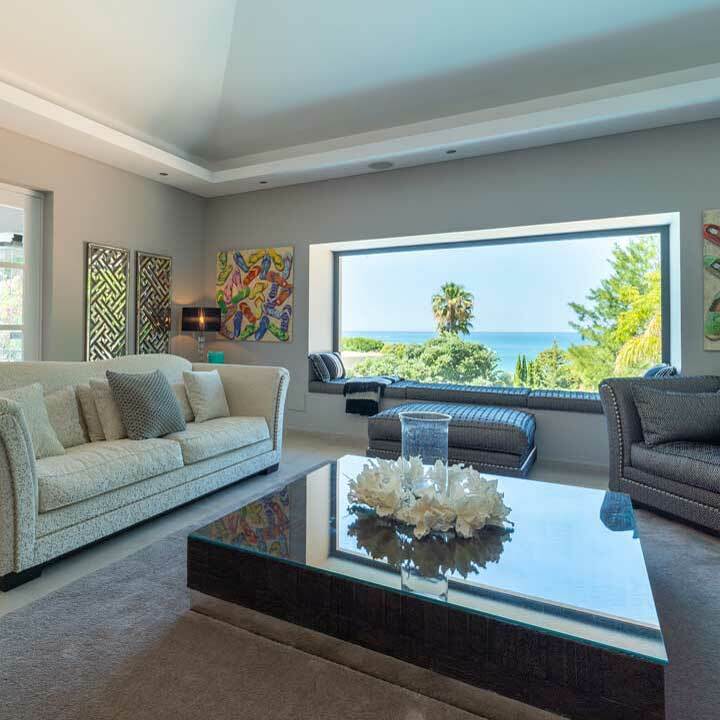 Located in the resort of Vale Do Lobo in the Algarve, only 20 minutes from Faro airport, this exclusive villa is in walking distance of the beach, the tennis and golf club, the restaurants, the spa and the supermarket. 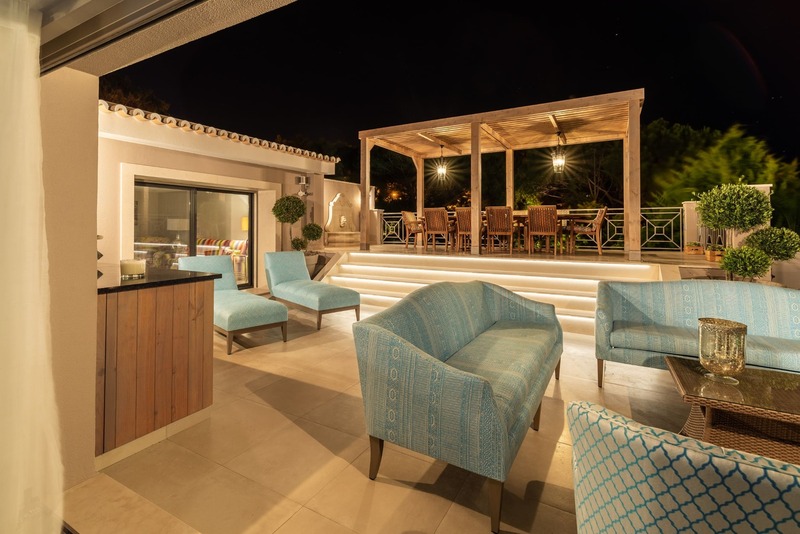 Whether you are looking for a sporting, beach or pampering holiday, the villa caters for all of your needs. 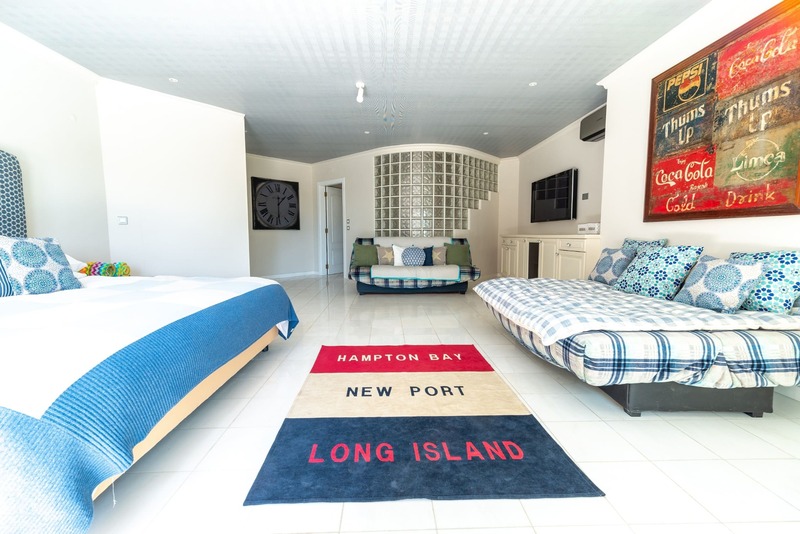 As we are so passionate about our home away from home, we wanted to share with you some of our favourite spots to help make your trip the ultimate experience. 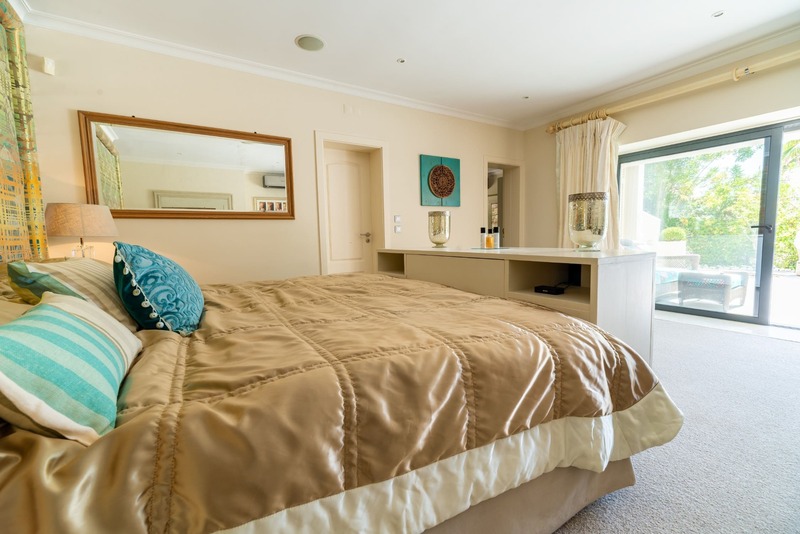 Minimum Rental Prices: 7 nights in June to August; 3 nights in other months. Flexible arrival & departure days. Note: The information taken is for your booking only and will not be used for any other purpose. If you would prefer to contact us directly now, please email timralston@hotmail.co.uk or call ‪+44 7762 893 941 at any time of the day or night. No information we receive from you will be divulged, sold, transferred or given to third parties whatsoever, unless we are legally obliged to do so. We store any information you provide to us in a secure manner. You can find out more information about Google Analytics by visiting http://www.google.com/analytics/. You can find out more information about Google Adsense by visiting http://www.google.com/adsense/. From time to time, other non-Google based advertisements may appear on this website. These advertisements are under our control and will have a direct link to a third party website - see Direct Links below for more information. Cookies are widely used by websites and servers to provide many of the basic services you will find online. Cookies are tiny text files that are stored on a user’s browser. Some examples of the purposes of Cookies are, for Analytical Information: Cookies allow websites to collect data about user activity, such as how many unique visitors a page receives per month; for Advertisements: Cookies allow websites to collect data about user location, language and your previous browsing history, such as your location is in the UK and you visit villa rental sites, this enables advertisers to target well informed ads to you whilst browsing this and / or other websites. Cookies are categorized as third-party or first-party depending on whether they are associated with the domain of the website a user visits. The difference between a third-party Cookie and a first-party Cookie is only a matter of which domain a browser is pointed toward. Third-party cookies are associated with a domain that is separate from the website a user visits. First-party cookies are associated with the domain of the website a user visits. Google Adsense also uses Doubleclick Cookies. The DoubleClick Cookie enables Google and its partners to serve ads to users based on their visit to this website and/or other websites on the Internet. We use various third party software to publish, update and if necessary communicate with you, although we use security checks, including anti-virus and anti-spam controls, we cannot guarantee any third party software. We endeavour never to use any image on this website which legally we are not entitled to use on this website. We own our own images; we use third party images where we have been given the permission of the third party to use those images on this website; and we purchase images with filed usage permissions. If you know or suspect that any image on this website is not within this context, please email us with the image details and your reasons, at admin@FabulousVilla.com. 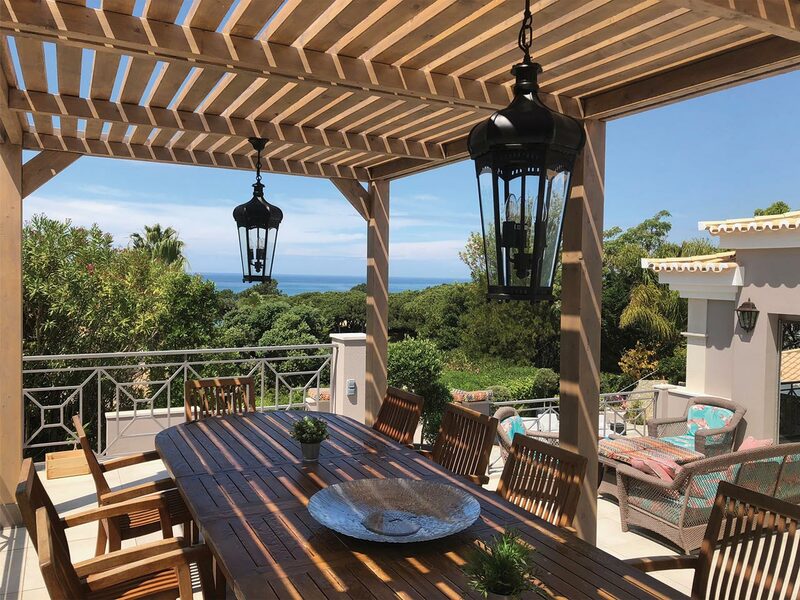 The Villa is the property located at Travessa da Aldeia Norte, Vale do Lobo, 8135-034 Almancil, Algarve, Portugal, together with its fixtures, fittings, contents and the outside space and garden owned by Tim and Alison Ralston , (hereinafter called the Owner or we or us). 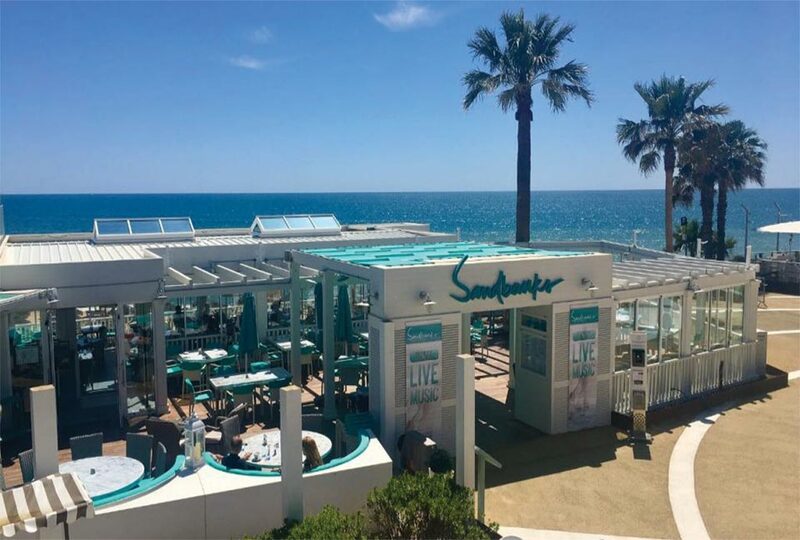 The Agreement exists between the Owner and the person making the booking (hereinafter called the Tenant or you) and is limited to the rental of the Villa and associated facilities only. By ticking the box on the Booking Form, the Tenant accepts these Terms and Conditions and confirms that he is authorised to do so on behalf of all other persons named on the Booking Form (hereinafter called your party). In this Agreement, any reference to the masculine includes the feminine and obligations, expressed or implied are deemed to be made by you and your party jointly and severally. 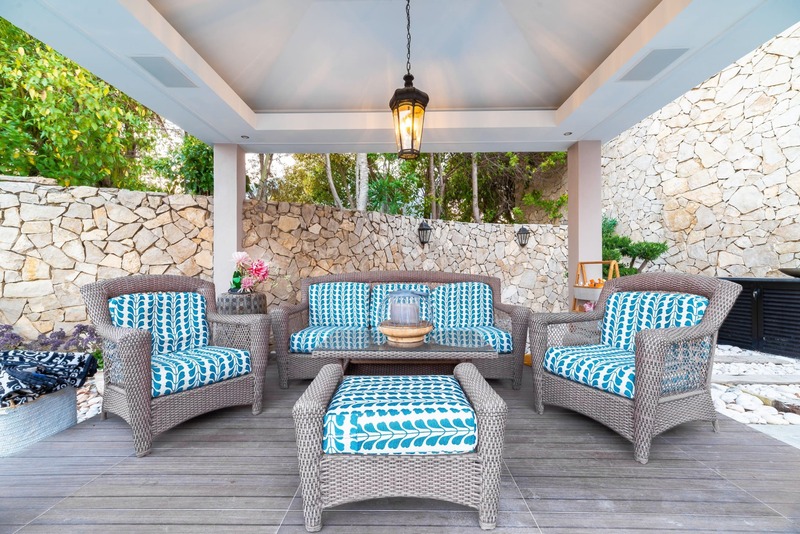 You make the Agreement on the basis that the Villa is to be occupied for a holiday and you acknowledge that this Agreement shall not confer on you or your party any security of tenure. The Agreement only becomes valid and a contract is formed between you and us once we have received the completed Booking Form, and the Deposit has been cleared through our bank and a Booking Confirmation has been issued by us. We are under no obligation to accept any booking without a Booking Confirmation. The Booking Form and the Invoice and the Booking Confirmation and the Terms and Conditions together, form the entire Agreement. No other document or information supplied by a third party constitutes any part of this Agreement. Both parties agree that this contract is subject to English Law and both parties shall submit to the jurisdiction of the English Courts. We take the issue of who stays at the Villa very seriously. We will not accept any booking, from a group of persons who, at the Arrival Date, are all aged 25 or younger. In addition, we will not accept a booking where, at the Arrival Date, the persons aged 25 or younger, represent the majority of the group, when excluding children under the age of 11. You confirm that the persons staying in the Villa, during the Rental Period, or any part of the Rental Period, are the persons named on the Booking Form and that the details you have provided of those persons are accurate in all respects. Amendments to the name, or details, of persons making up your party, have to be with our written agreement. We confirm any amendments by email. No amendments are possible once the Balance is paid. You must not assign, underlet or part with or share possession of the Villa or any part of it. 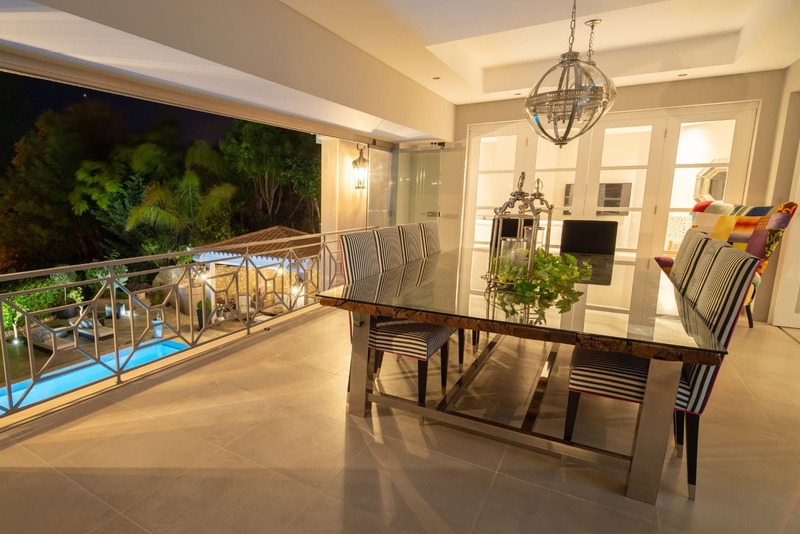 Any person, at anytime during the Rental Period, that is not named on the Booking Form, or who does not have our written confirmation to stay at the Villa can be refused entry to the Villa, or evicted from the Villa. You shall use the Villa for the purpose of a private holiday residence and not for any other purpose whatsoever and you must not use the Villa or any part of it for any improper, immoral or illegal purposes. If the number of persons under the age of 25 staying at the Villa during the Rental Period becomes the majority of persons (excluding children under the age of 11) staying at the Villa, at anytime, and for whatsoever reason, we reserve the right to terminate the Agreement immediately. In that circumstance, we will not be liable for any refund, compensation or any related costs incurred by you in connection with the Agreement. The price of the Rent is quoted on our website in UK £ Sterling, but Euros can be quoted and it is your choice, which you select. Once you have chosen your currency and the Deposit is paid, neither the currency nor the rental price can change. The calculation of the Rent is on a daily basis. The Deposit is 25% of the Rent and is payable within 10 days of the Invoice Date. The remaining amount, the Balance, is payable within 8 weeks of your Arrival Date. Approximately 2 weeks before the Balance becomes due we email you to remind you about the Balance. For bookings made between 10 weeks and 40 days of the Arrival Date, the Deposit and the Balance are payable within 10 days of the Invoice Date. For “last minute” bookings made within 40 days of the Arrival Date, the Deposit and the Balance are payable immediately and in those circumstances, no cheques are acceptable as payment. We reserve the right to change the prices on our website or elsewhere and or any discount at anytime, in any or all of such currencies. The Damage Deposit is the amount quoted on the website, at the date that we receive the Booking Form, in UK £ Sterling, and that amount is added to the Balance in one of the currencies either UK£ or Euros or that you have chosen to pay. 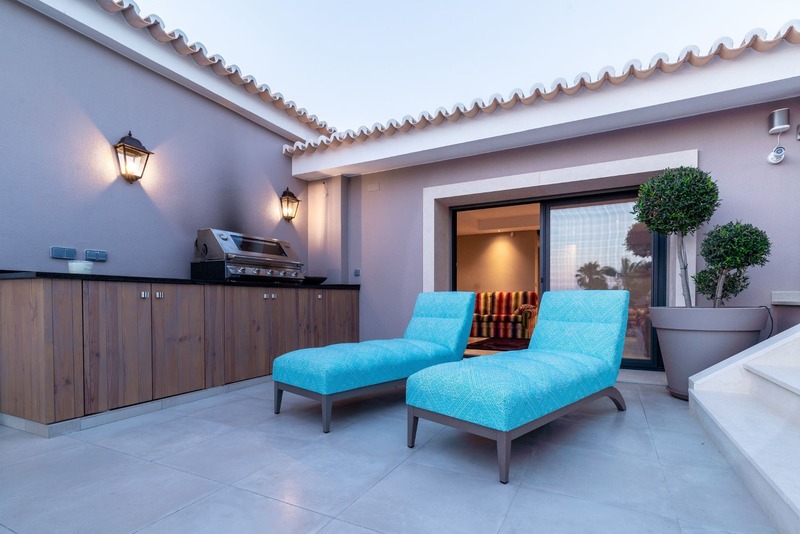 On the Departure Date, the Damage Deposit is refundable after the Owner or the House Manager has inspected the Villa and if necessary the Golf Buggy. The refund of the Damage Deposit will be in cash and paid to you on the Departure Date in whichever of the currencies UK£ or Euros, you paid to us for the Damage Deposit. Where necessary, and as detailed below, we have the right to retain all or part of the Damage Deposit. In UK £ Sterling - Drawn on any UK bank, and remitted to our bank in the UK. In Euro - Drawn on any European bank, and remitted to our bank in Portugal. Please note, Euro cheques drawn in European countries, other than Portugal, can take some considerable time to clear in Portugal. We do not accept cheques in Euro drawn in countries outside Europe. No cheques are acceptable for Bookings made within 40 days of your Arrival Date. In UK £ Sterling, to our bank in the UK. In Euro, to our bank in Portugal. Babysitting service – payable locally. Specific requests should be on the Booking Form or emailed to us as soon as possible after you receive the Booking Confirmation and we will use our best endeavours to organise the above extras you require. Extras are chargeable at the rates shown on the Booking Form and added to the Balance. Where extras are payable “locally” at the Villa, these will be in Euro cash and direct to the person offering the service. Prices can vary upon numbers of persons in your party and occasionally seasonally. 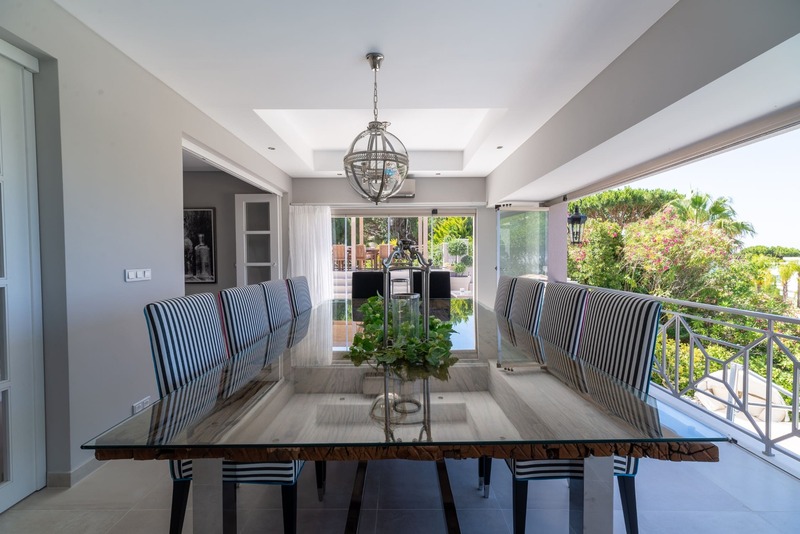 During the Rental Period, we may be able to arrange a discount price of the green fees for you and the members’ of your party on the two Vale do Lobo golf courses, the Royal Golf Course and the Ocean Golf Course. 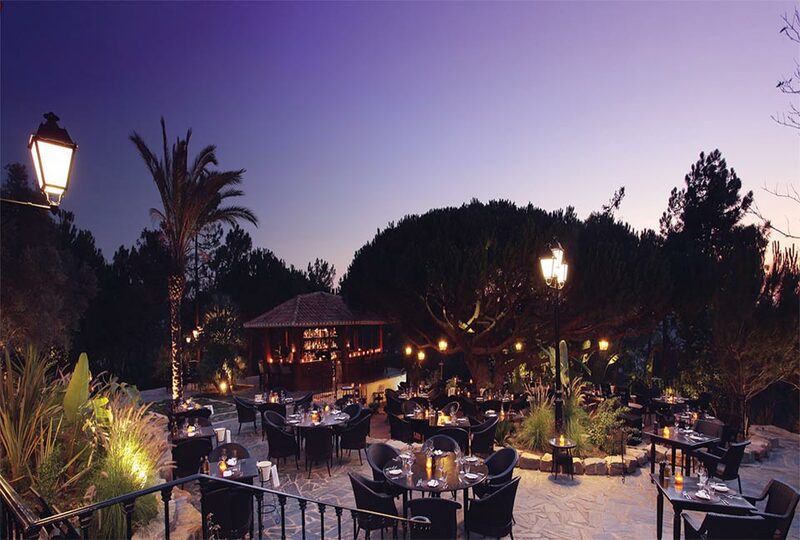 In order for you, or the members’ of your party, to obtain this discount price, we are required to provide, in writing, to Vale do Lobo, the name of the person who is going to play golf and the dates of the Rental Period. The Booking Form requires you to select Yes or No in the golf section. 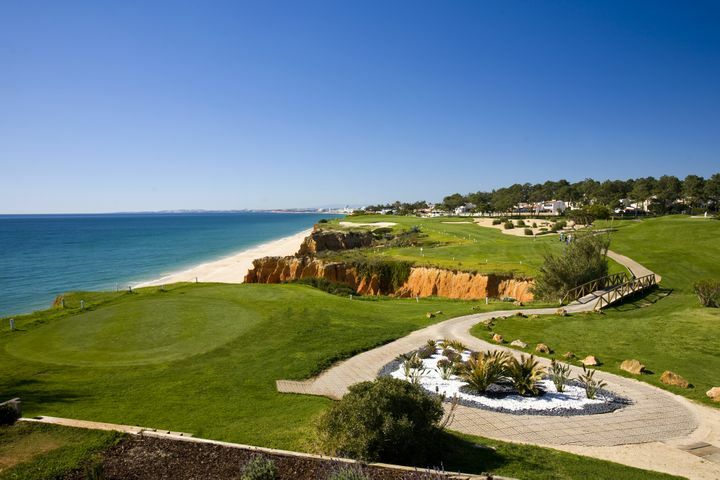 You or members’ of your party who want to play golf at Vale do Lobo during the Rental Period should select Yes. We cannot arrange any green fee discount for persons who have selected No. 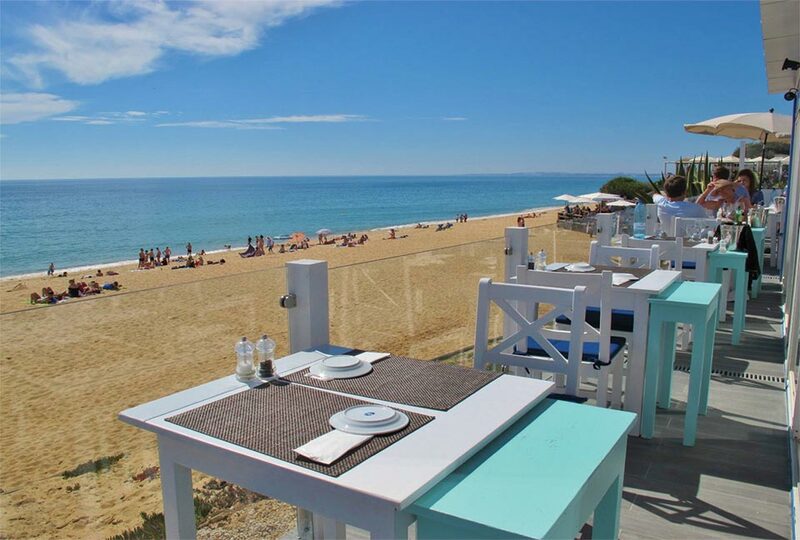 We shall submit the name of the person(s) to Vale do Lobo after the Deposit is paid. 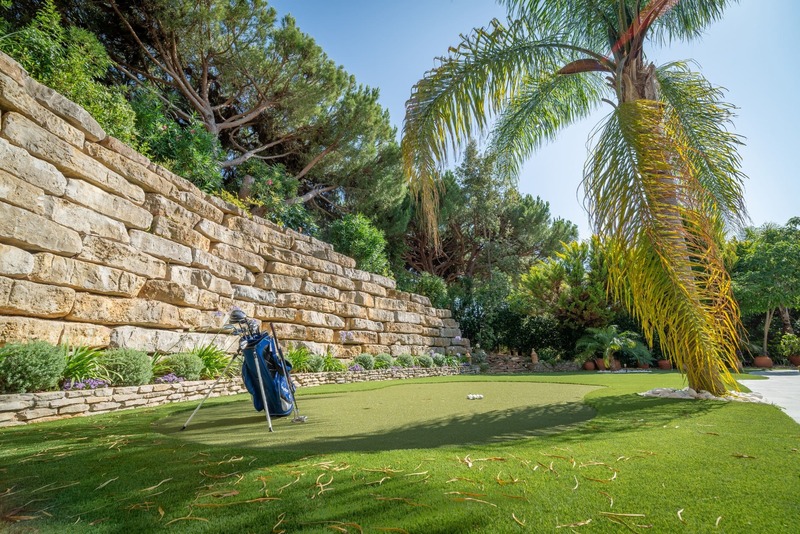 In order to obtain the green fee discount, you must book the tee time only after you have received the Booking Confirmation from us, and, when booking your tee time, inform Vale do Lobo that you will be playing as a guest of Tim and Alison Ralston being a property owner in Vale do Lobo. You are responsible to book your own tee times with Vale do Lobo and to pay the discounted green fee to Vale do Lobo directly. For details of the discount available on the private Golf Buggy, please see below. 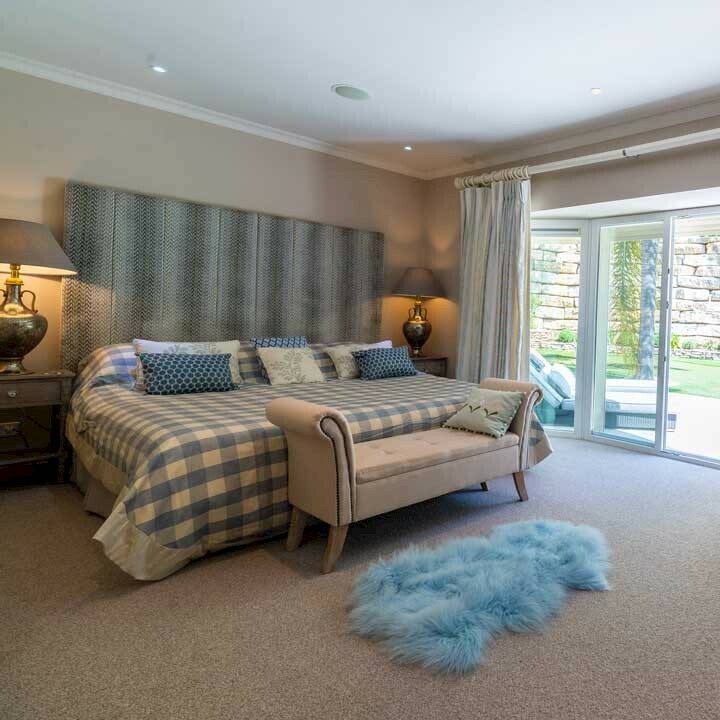 The Villa is equipped with a high level of security measures including electric shutters, triple door locks, high quality patio doors, internal electric shutters and alarm and CCTV systems. 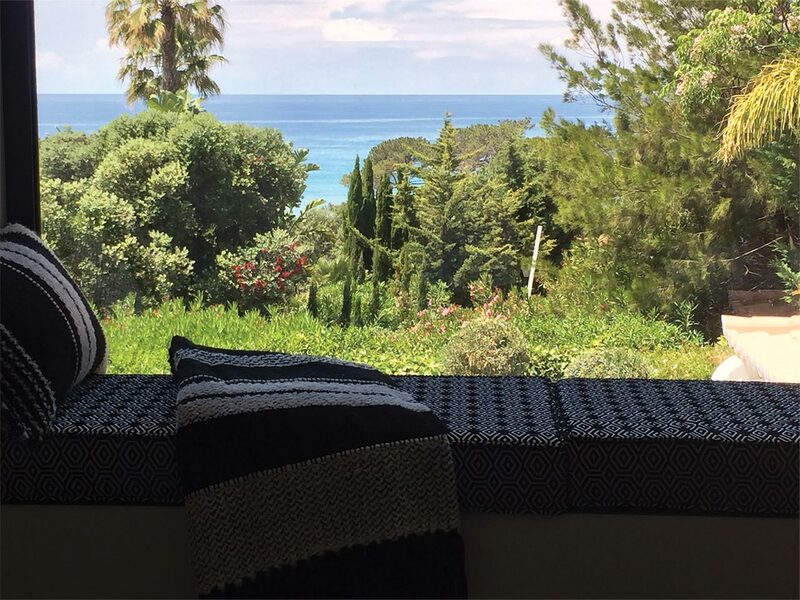 Our insurance, for our contents of the Villa, covers you in case of break-in or forcible entry. However, if you leave the Villa vulnerable, for example, doors unlocked or electric shutters open, then this insurance becomes void. In those circumstances, you are responsible for the cost of replacing any missing items. The values of such missing items are first deductible from the Damage Deposit and thereafter, if necessary, from you directly. At all times throughout the Rental Period, we shall have suitable building insurance cover for the Villa. We advise you to take out adequate travel insurance to cover illness and other uncertainties’. We also recommend that you have adequate insurance cover for your personal items that you will bring with you to the Villa. We do not insure your valuables or your personal belongings. The Villa has a safe that you will be able to use for small items. We do not charge you any supplement for our Accidental Damage insurance policy. This policy covers you against the cost of accidental damage to the Villa during the Rental Period. 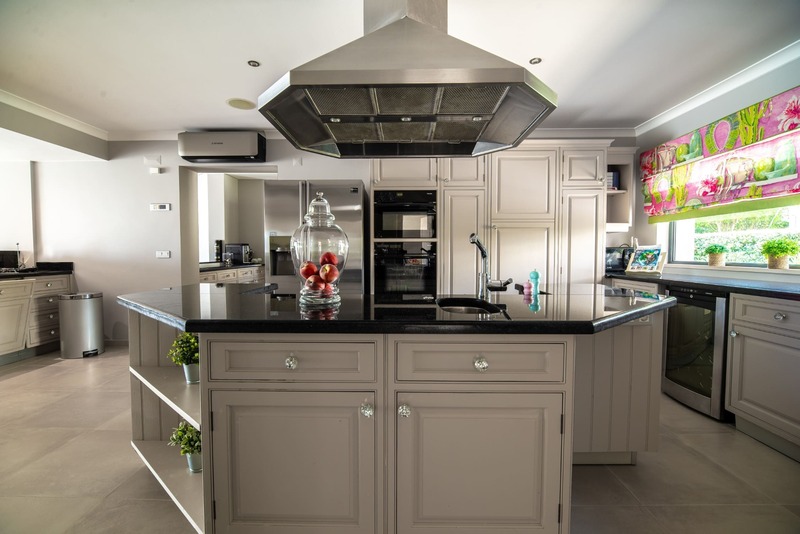 However, if damage accidentally occurs to the Villa, fixtures, fittings or contents, or to the Golf Buggy during the Rental Period, we shall first deduct such value from the Damage Deposit and only claim on the insurance if necessary thereafter. 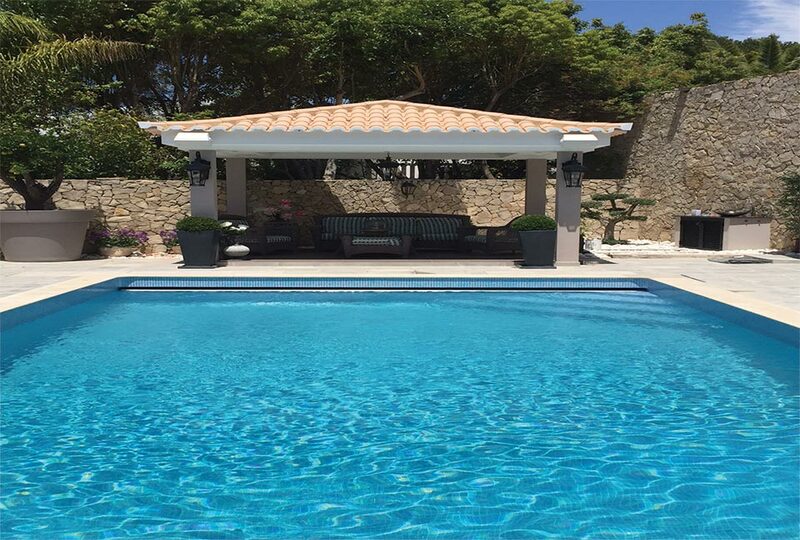 You must report to our House Manager, any damage to the Villa, including the fixtures and fittings, contents, swimming pool or the Golf Buggy as soon as possible. You should also report to our House Manager any disrepair or defect in respect of the Villa and any failure of mechanical or electrical appliances including the Golf Buggy. The electric Golf Buggy is a “road legal” version and Portuguese Licensed and is an optional extra. You agree that the use of the Golf Buggy is restricted at all times to eligible drivers who are persons aged 18 or over, within your party, who hold a full and valid driving licence issued by a country within Europe. No other person may drive the Golf Buggy. Our insurance covers eligible drivers, for third party liability only whilst driving on the road and not whilst driving on a golf course. 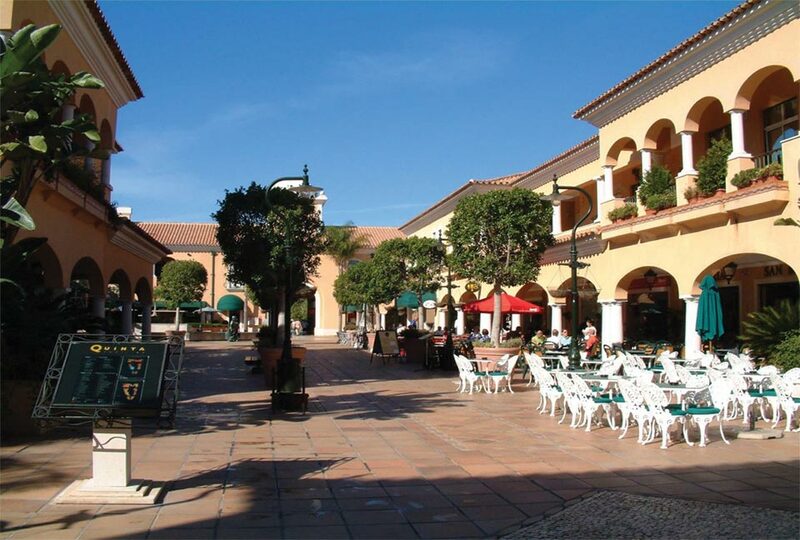 The Golf Buggy can only be driven on roads within the Resort of Vale do Lobo, or on the Vale do Lobo golf course (where permitted) and not outside the Vale do lobo resort, nor on any beach, or any such other illegal areas. There must not be more than two people on the Golf Buggy at any time. When an eligible driver is driving the Golf Buggy on the road, both the driver and any passenger must wear the supplied safety belts, and adhere to the Portuguese road driving regulations (as legally required to do so). The Golf Buggy may only be driven during day light hours and it must be returned to the Villa each evening. You agree to pay directly any third party, enforcement agency, or otherwise, any costs, fines, fees, charges or any other expenses or costs in connection with the use of, or accidents to, or caused by, the Golf Buggy. The present Vale do Lobo golf course regulations allow you, or a member of your party, with our prior written authorisation, to use the Golf Buggy on their two golf courses at a discounted price to their normal buggy price. You are responsible that the Golf Buggy is utilised in accordance with the rules of the Vale do Lobo golf club. You are responsible to ensure that the batteries, of the Golf Buggy, are on charge each night. You can only use the Golf Buggy if you have elected this as an extra in the Booking Form. The extra charge and the increase in the Damage Deposit amounts are in the Booking Form. You agree to pay us for any damage to the Golf Buggy during the Rental Period. Any such damage is deductible first from the Damage Deposit and thereafter from you directly. We pay all the electricity, gas, water, Internet and SKY satellite television charges in respect of the Villa during the Rental Period. The supplies of these services are outside our control and therefore we do not accept any responsibility for any interruption to, or failure of, any of these items. Pets. Two of your own small pets are welcome within your party. A “small” pet should not be larger than a cocker spaniel breed of dog and “house-trained”. You accept full responsibility of the pets including any damage caused by the pets. Smoking. Inside the Villa, smoking is not permitted. Various smoke detectors are fitted within the Villa. In the event that you cancel this Agreement for whatever reason, fail to pay any payments on the due date, or break this Agreement in any way, we shall be immediately free to find an alternative party for the Rental Period. If we are successful in securing an alternative party to rent the Villa for the Rental Period on the same terms, we shall re-pay you 100% of the monies you have already paid to us. The Deposit is normally non-refundable but maybe reclaimable if you have taken out adequate holiday insurance. In the event that we cancel this Agreement for whatever reason, we shall pay you all monies that you have already paid to us within 10 working days. 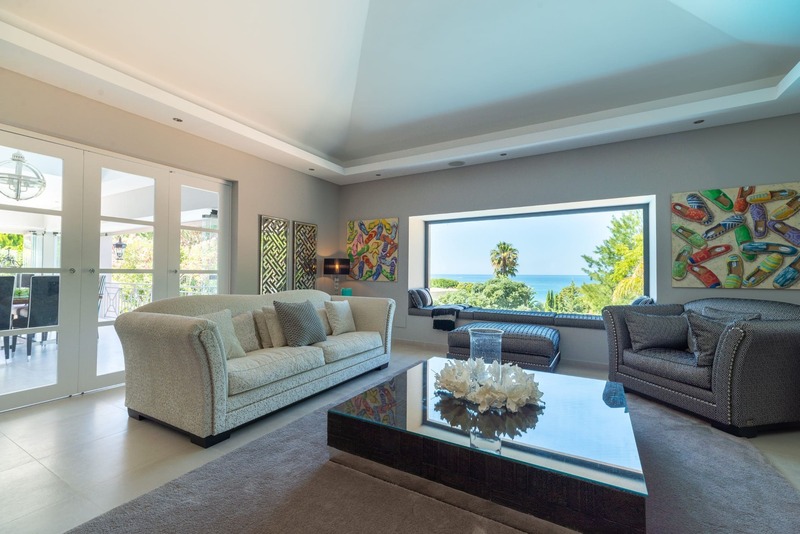 You must deliver up the Villa at the end of the Rental Period in the same clean state and condition it was in at the beginning of the Rental Period, reasonable wear and tear excepted. Any necessary cost for extra cleaning is your responsibility. If necessary, our House Manager will prepare an estimate of any extra cleaning costs on the Departure Date. This estimate is a deductible from the Damage Deposit. You must hand all keys and remote controlled devices for the Villa, to either the Owner or the House Manager on the Departure Date. The Owner, his agents, contractors or the House Manager shall have the right to access the Villa during the Rental Period. 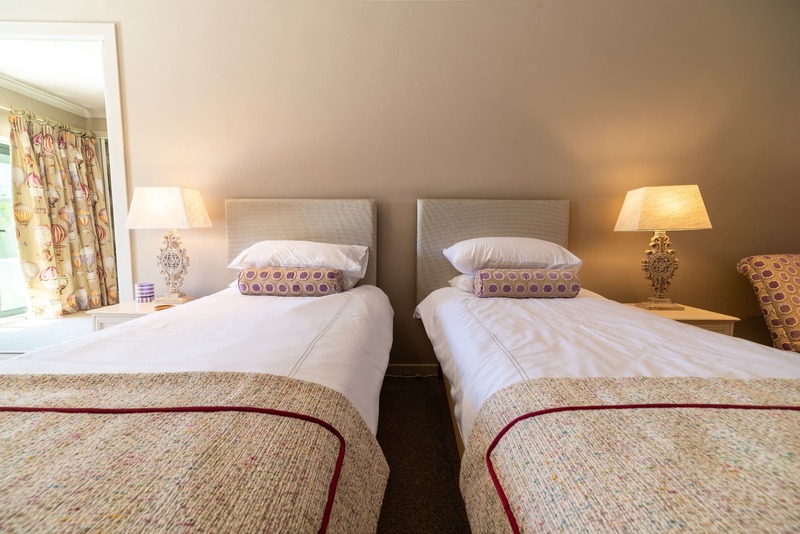 Maid service is normally Mondays to Fridays inclusive, National and Local Public Holidays are excluded. Maid service includes general cleaning of the Villa. 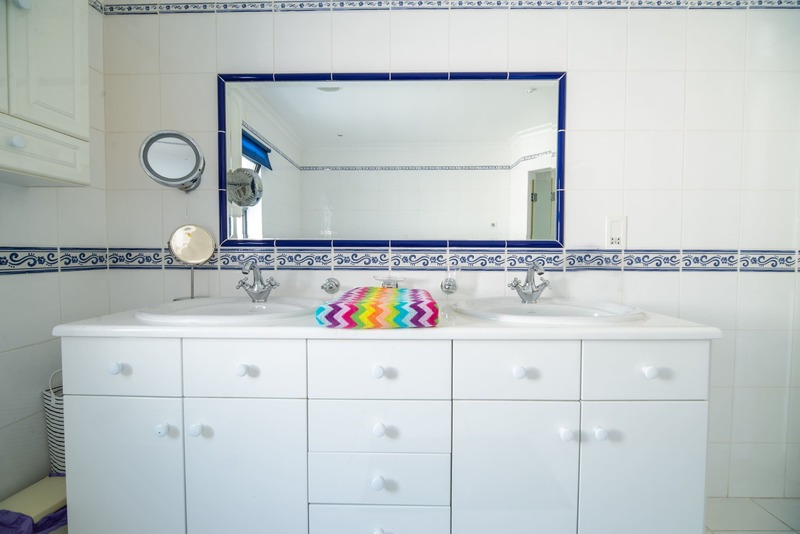 All linen, is changed for fresh linen once per week, this includes bath and beach towels, or before a change in tenancy. Pool and Jacuzzi maintenance is normally weekly although, in very hot periods, it can be twice a week. 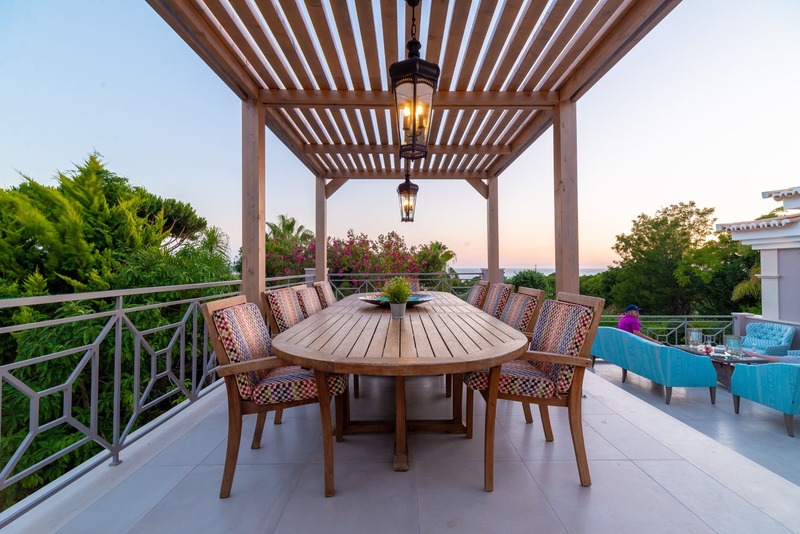 During reasonable hours of the day, the Owner, his agent, contractors or the House Manager can inspect the Villa or carry out repairs or other works to the Villa or its contents or, and with, prior warning, to show the Villa to prospective purchasers of the Villa. You are responsible for the safety of all people and where applicable any pets, whether in your party or not during the Rental Period, whilst they are in the Villa or within the boundary of the Villa, or on or driving the Golf Buggy. All children in, or near, the swimming pool and or the Jacuzzi, must be supervised at all times. 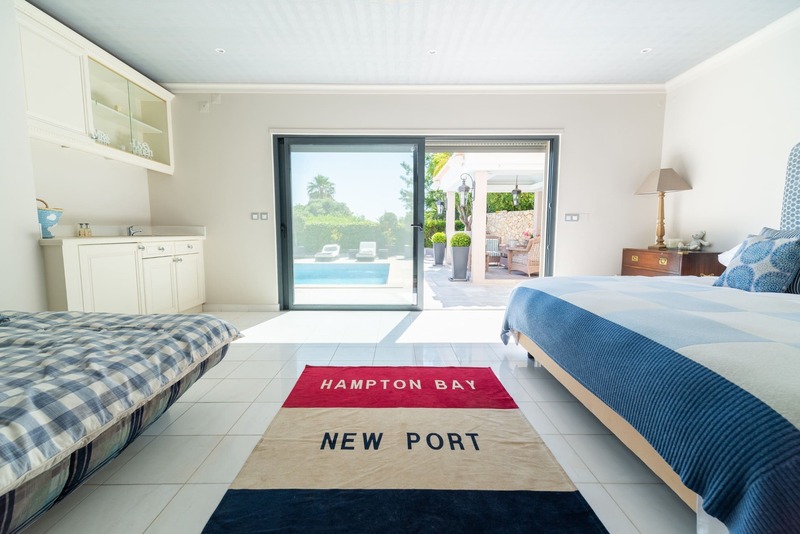 A key electrically operates the opening and closing of the swimming pool cover and you are responsible for the use of the swimming pool cover, making sure that the key is not utilised, nor able to be utilised, by any child in your either party or child visiting the Villa. You are responsible to ensure that no children are able to access either the swimming pool pump room or the Jacuzzi pump room. 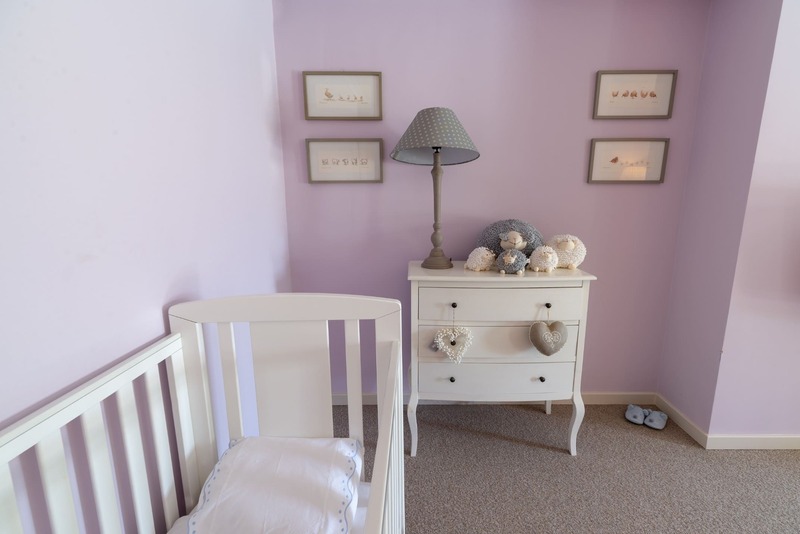 As with all rooms that contain technical equipment, these can be dangerous to children and to others who do not know how to operate such equipment. The two pump rooms contain such types of equipment, and is located in the Jacuzzi pump room. Therefore, the pump room doors are lockable with keys and these doors should remain locked when not required. The Villa is equipped with a First Aid kit. 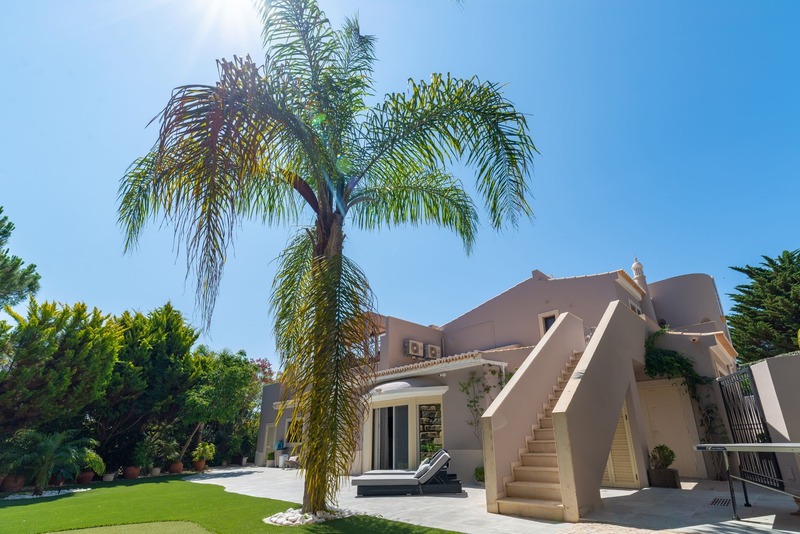 The contact telephone number of the Vale do Lobo medical centre and the national Portuguese emergency help telephone number are inside the Villa. Various fire extinguishers and fire blankets together with notices are throughout the Villa. A Gas Safety Certificate for the Villa was issued on October 2014. An Electrical Safety Certificate for the Villa was issued on 6 December 2011. A Fire Safety Certificate for the Villa was issued on 6 December 2011. The Owner does not accept responsibility or liability for acts of omission of third parties, which may prevent or disrupt the booking process. The information and descriptions within the Agreement are believed to be accurate and are offered in good faith. 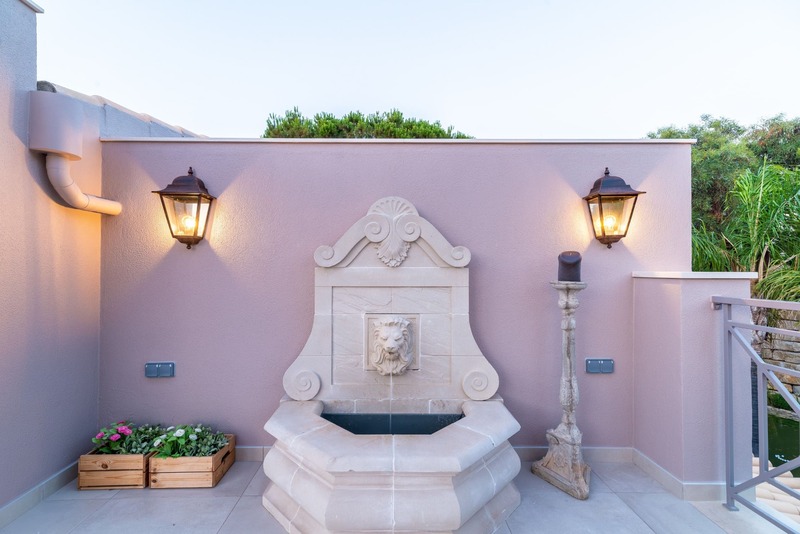 The Owner does not guarantee any information or descriptions of the Villa found elsewhere.  It may be possible that certain facilities or features will not be available on occasions due to circumstances beyond the Owner's control for which the Owner accepts no liability. 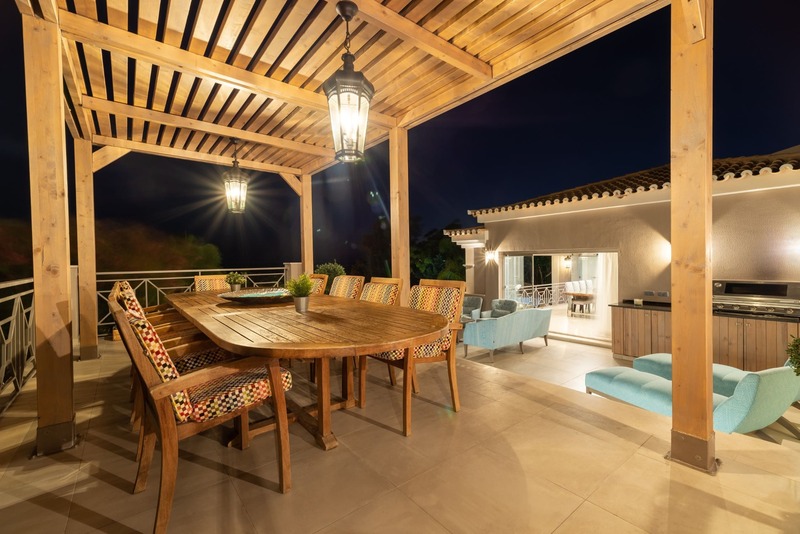 In addition, the Owner accepts no liability for any injury, loss or damage to the Tenant, any member of the Tenant's party or any visitor to the Villa arising out of or in connection with the use of the Villa and or the Golf Buggy. 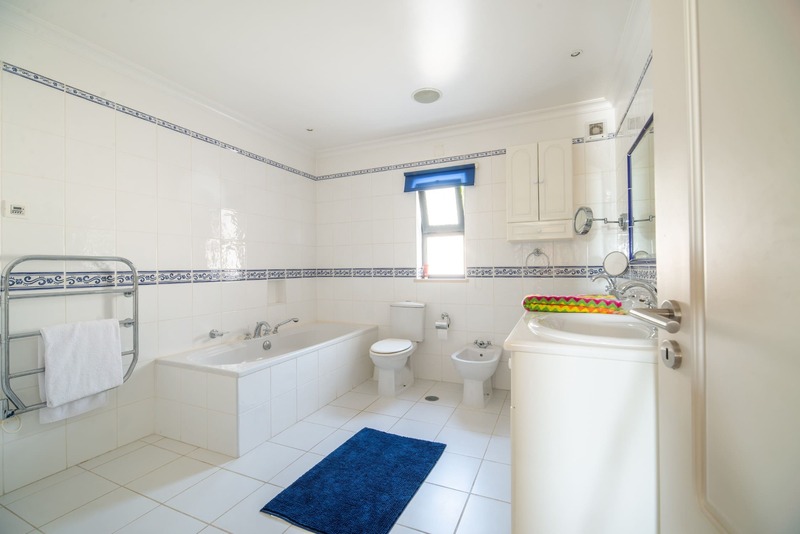 The Tenant must ensure that all children are supervised at all times whilst in and around the swimming pool and Jacuzzi areas. 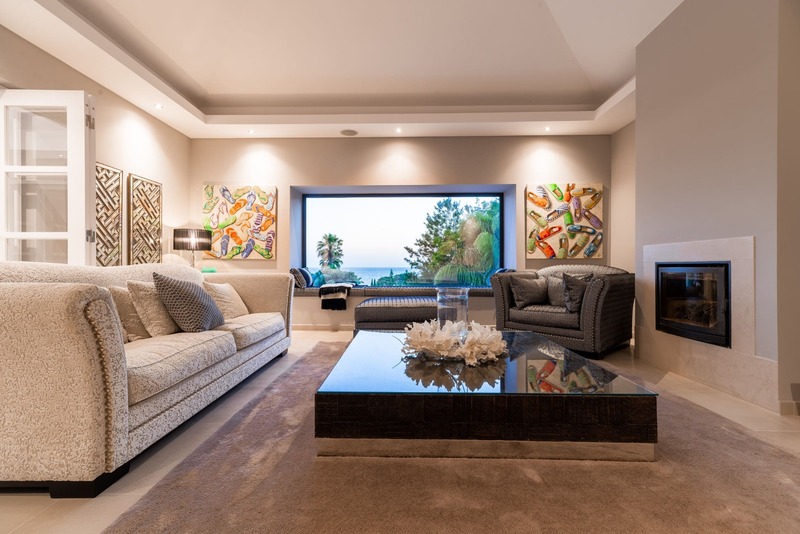 The Tenant shall not make any alterations or additions to the Villa or its decorations, fixtures or fittings nor remove any of the items in the Villa or any of the Owner's possessions, from the Villa. The Tenant shall not cause nuisance or annoyance to any neighbours. 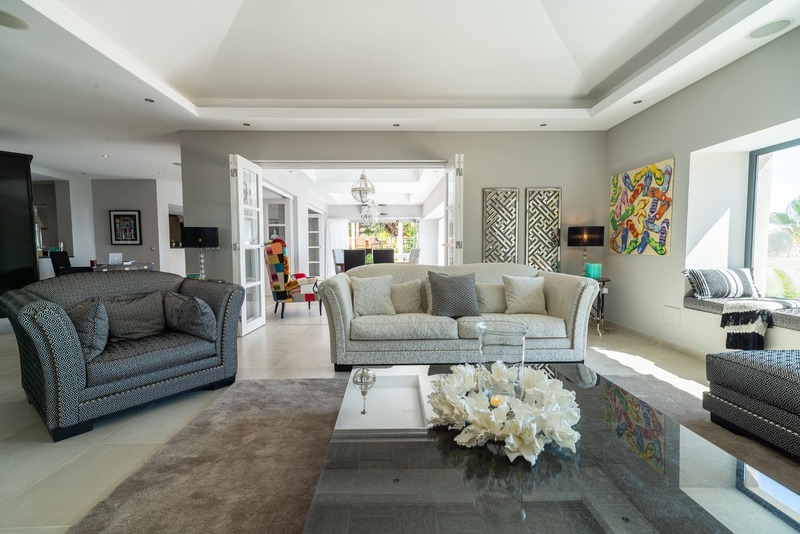 The Tenant must not move any items of furniture from room to room in the Villa and must replace in its original position any furniture that is moved within rooms. The Tenant must keep free from all blockages and obstructions all baths, showers, sinks, lavatories or pipes. 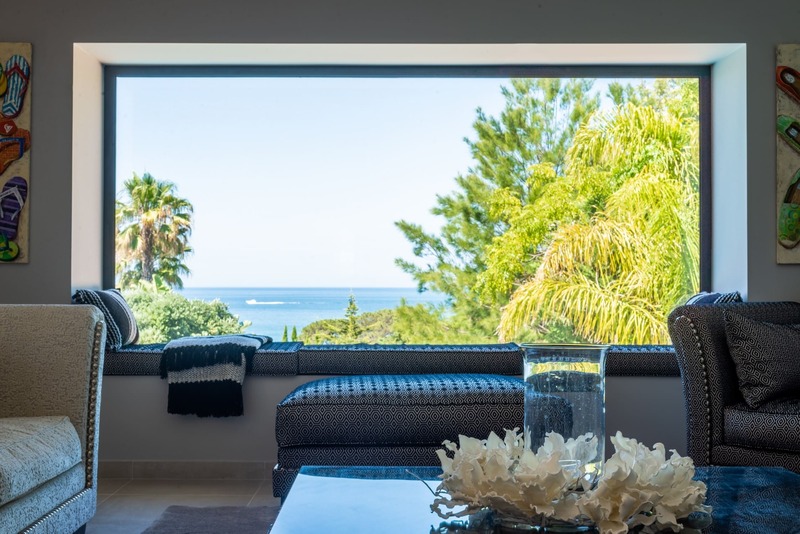 The Tenant must not display notices or advertisements in the windows or elsewhere on the Villa. The Tenant acknowledges that the Villa is for sale and that there is one “for sale” sign erected on the boundary of the Villa. 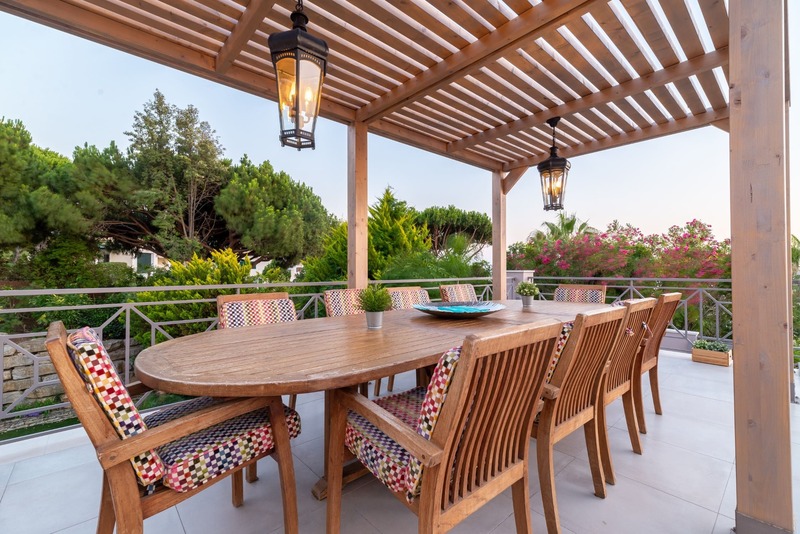 The Tenant acknowledges that any works within the vicinity of the Villa, but outside the boundary of the Villa, are not controlled by the Owner, therefore cannot be guaranteed by the Owner during the Rental Period. The Tenant shall keep any fixtures, fittings and effects of the Owner in good repair and condition and must replace any damaged fixtures, fittings and effects with similar articles of at least equal value. You shall not cause any damage or injury to the exterior, structure or any part of the Villa. 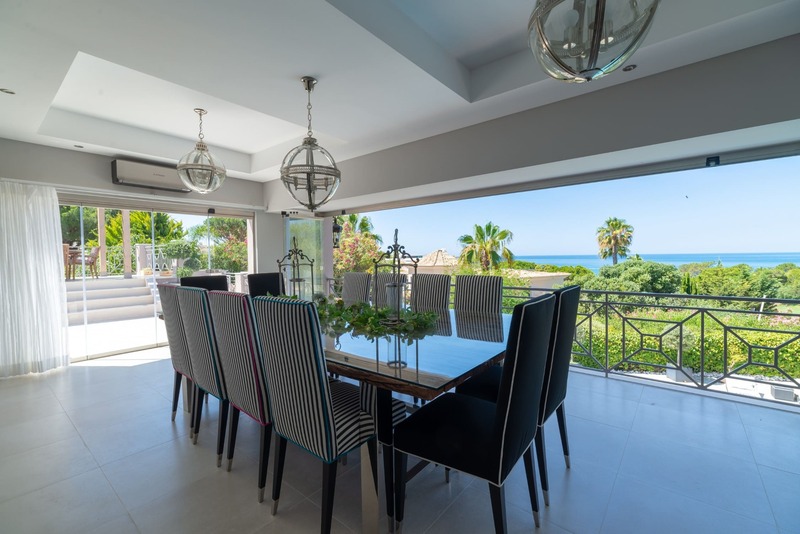 You agree to pay for breakages or damage to the Villa, its fixtures and fittings or its contents or to the Golf Buggy during the Rental Period. In the event that any such amount becomes due, from you, we shall first deduct such monies from the Damage Deposit. If the Damage Deposit sum is insufficient to pay for the damage then you agree to pay the excess to us as soon as possible. The Owner will not be liable or accountable for any unforeseen situations or unforeseen circumstances. This may be such situations as freak weather conditions, earthquakes, war, terrorist activities, airline strikes, local strikes or disputes, Portuguese or other governmental civil strife, riots or disputes or anything that is deemed to be out of the ordinary. The Owner reserves the right to amend or alter the Terms and Conditions immediately and without notice. Any alterations or amendments in the Terms and Conditions made between the date of the booking and the end of the Rental Period, only become effective, for you and your party, after the end of the Rental Period. These present Terms and Conditions have been effective since 1 May 2012.